East London – Private student grant payment company Intellimali has laid a charge of theft over the R14 million allegedly paid to a student by mistake, spokesperson Brigadier Marinda Mills said on Tuesday. ''Intellimali officials laid a charge of theft at the Berlin police station today. The case has been assigned to a seasoned investigator and the standard investigative procedures will now be followed,'' said Mills. 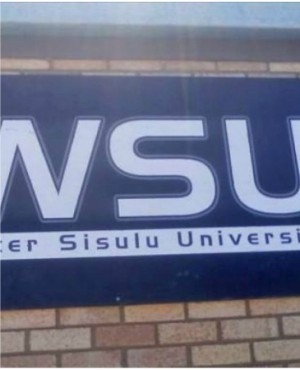 Walter Sisulu University student Sibongile Mali was due R1 400 as a recipient of a National Student Financial Aid Scheme (NSFAS) loan which is paid to her, as to other students on the scheme, by the university. This is done via Intellimali on behalf of the university. The student allegedly received R14m instead of R1 400, and allegedly spent R818 000 before being found out. The university has indicated that she will have to pay it back as part of her student loan, but in the meantime it wants to know how the blunder happened. The university also wants an urgent report from Intellimali on how the student was able to spend so much money at shops that are not part of the network that accepts payment from the Intellicard, the debit card which lets the students access the money. They are only supposed to be able to spend it at selected shops on food, books and clothes, but the student apparently stocked up on luxury brands until being found out in August. Intellimali, started by a number of ex-NSFAS executives, issued a statement last week to say the payment amounts were all checked before they were put into the student's Intellicard so they would also investigate where the extra zeroes came from. In the meantime, they have credited the university's account with the amount the student allegedly spent. The student's friends have in the meantime thrown a protective ring around her and have indicated that she will not be speaking to the media.